In a letter addressed Monday to the US Secretary of State, John Kerry, the co-chairs of the Congressional Morocco Caucus, a bipartisan group comprising no less than 40 members of Congress, denounced the blunders and inappropriate actions of Ban Ki -Moon. In their letter, the US congressmen criticized the UN chief for having described as “occupation” the Moroccan presence in the Sahara and for having advocated the obsolete option of a “self-determination referendum” as a solution to this territorial dispute between Morocco and Algeria. “It’s high time to consolidate this longstanding policy,” the Congressmen said. They underlined the “substantial” support enjoyed by the Moroccan autonomy plan for the Sahara, in both houses of the US Congress, and recalled that this support has been repeatedly expressed by a large majority of Democrat and Republican Congressmen. 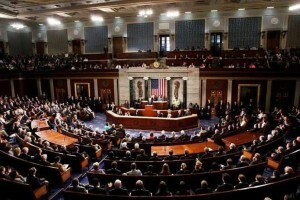 American support to the Moroccan proposal was also reiterated in the report attached to the latest US Appropriation Bill adopted by Congress and enacted by President Barack Obama, the letter added. They argued that this goal can be achieved by working with the Moroccan government to ensure an “adequate renewal” of the MINURSO mandate, while consolidating the US longstanding stand vis-à-vis the Sahara issue.